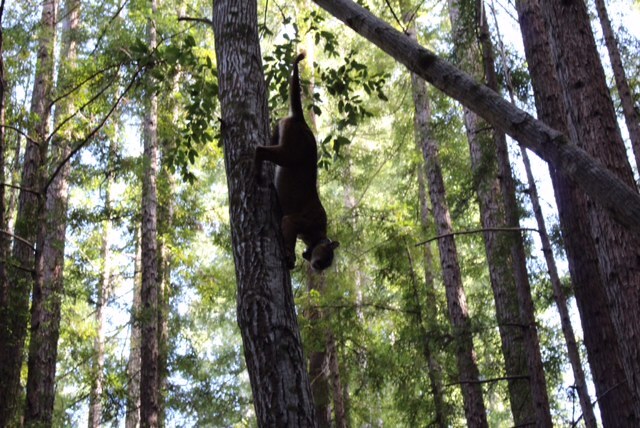 We hear that pumas are good climbers and jumpers, but we don’t often get to see it. 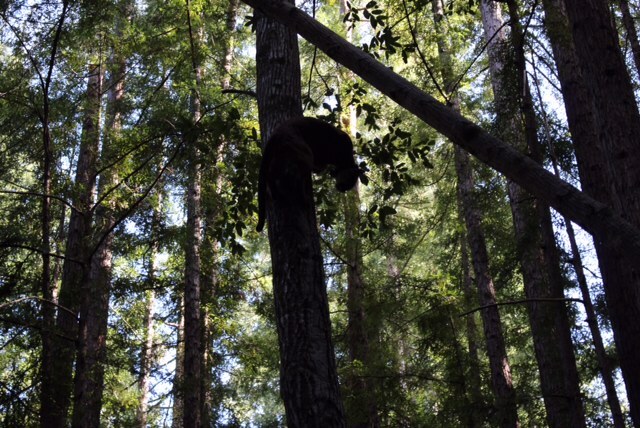 This awesome series of photos shows 51M, a ~4 year old male we originally collared in November, turning around on a tree trunk, climbing down, and then leaping to the ground. These photos were captured by volunteer houndsman, Troy Collinsworth. 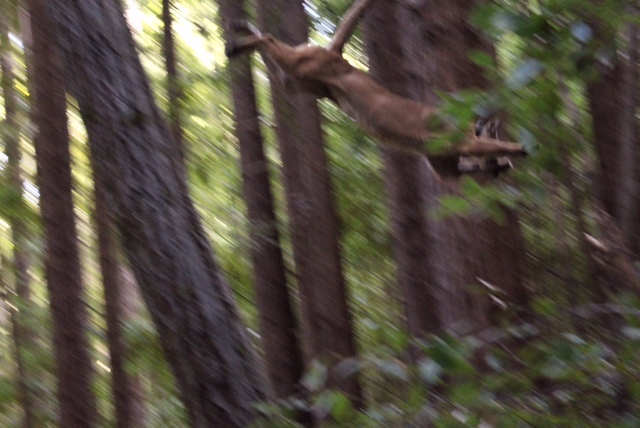 Pumas have muscular legs, specially adapted for jumping. After this mighty bound, 51M landed on his feet, safely and unharmed!